This article and infographic were created to assist bloggers and all-around publishers on the process of creative writing. Please click the image below to see the infographic or continue to read the extended version. Stories are, perhaps, our oldest way to preserve and transmit culture. A sit around the campfire listening to tales and legends seems like a really probable setting for a dawn-of-mankind prehistoric summer night as much as for next weekend’s night-out. Stories are in fact embedded in us and in what makes us human, we live in them by day, imagine our volatile and deep thoughts with them and dream in them by night. Use them for learning, communicate and getting closer to everybody and use them for our selfish alienation and personal entertainment. Without them, our own perception and experience of the world would lack coherence as they bond the physical and mental reality together, populating them with characters and sceneries that flow through a continuous life-lasting timeline. 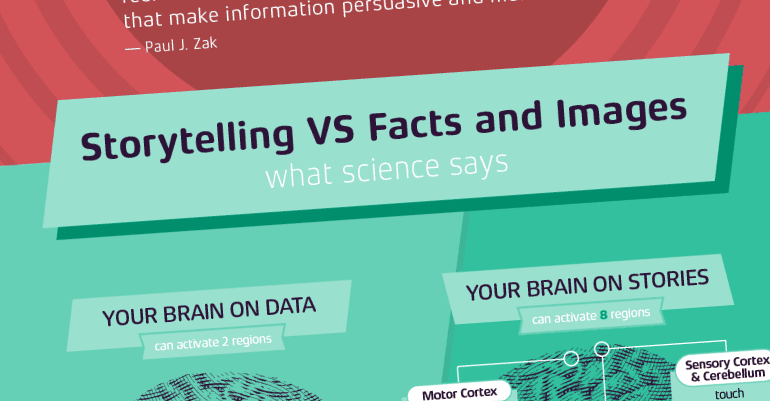 Why are stories so catchy and immersive?Why are stories so catchy and immersive? What does this have to do with my blog?What does this have to do with my blog? In the end, it all revolves around the exchange of information and final quality of the message under the receiver’s point of view. No matter what kind of media we use, in any composed, non-coded message there will be at least 2 of these elements: “Why, what, who, where, when. These are enough for us to shape our information like a story, independently of the content addressed. This will allow us to effectively guide our audience through different emotional paths, generating a more empathic emotional response while improving the whole reading experience. Our vast literary legacy is the best place to find proven ways to tell stories, so it’s not surprising to find a huge number of ways to narrate the same chain of events. As we’re addressing a specific type of writing and content, we’ve summed up 7 simple techniques that will help the writing of the big majority of your content. This is probably the most common storytelling technique, it’s omnipresent from fiction writing to folklore tales and religion writing or myths worldwide since immemorial times. It has its name from the progressive escalation in action when a new level is achieved by overpassing the previous one keeping a linear and progressive information building until the delivery of the final conclusion. The most notorious technique derived from this is called The Hero’s Journey, where a character (the Hero), starts as a common human being faced with a great challenge, needs to abandon his life to embark on an epic journey to the unknown.Will be faced with temptations and challenges he will overcome, he will be reborn and he will grow as a being in the process. He returns safely back home with extra wisdom or a reward that makes up for all the experience. 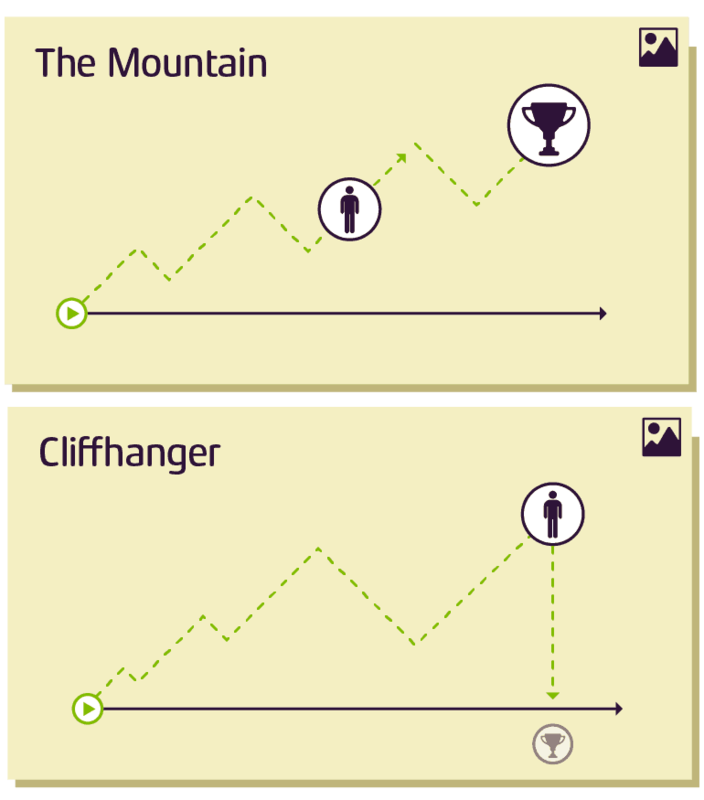 A derived technique is called Cliffhanger, where the action is cut before any decisive conclusion leaving it unresolved and waiting for conclusion. •“Hooking” reader attention for posterior reading (Cliffhanger). Resembles an “onion skin” narrative structure, where sequential layering of the information is used to expose the core idea. The story ends with the same story it started with all the following stories finishing on the respective order they begun, with the central story separating the beginning and end of each one of them. Ex: 1,2,3,0,3,2,1. Other variations are, of course, acceptable if the conclusion remains in central position and it benefits the whole story. Ex: 1,2,3,0,1,2,3. In media res, is a latin phrase that means: in the middle of things. This is an old narrative technique that consists of starting a story in the middle of a busy sequence of events, this is expected to hook the audience that will then be eager to know both the beginning and ending of the whole story. This technique is mostly used on speeches but also works well on written presentations. It basically consists of presenting a bilateral but linear storyline, the tension between these two poles will reveal a path to a better way, providing a solution for the conflict. The storyline follows from an introduction to a conclusion, with constant bounce between reality/ideality, and then it’s topped with a persuasive call to action that motivates change. The promise of a future reward will convince your audience that it’s worth the effort and will meet their specific needs and not only yours. The term MacGuffin was coined by Alfred Hitchcock himself. This is a narrative plot device that focuses entirely on a final objective or motivation, sometimes giving no argument or reason for its existence or purpose of the action. All the story’s activity relies on the preconceived idea that what’s being done is correct and valid, thus, “The Way” to follow or get the original mission accomplished. It’s extremely useful due to its goal-driven nature that allows the reader to pay close attention to the process in order to successfully achieve the desired target. 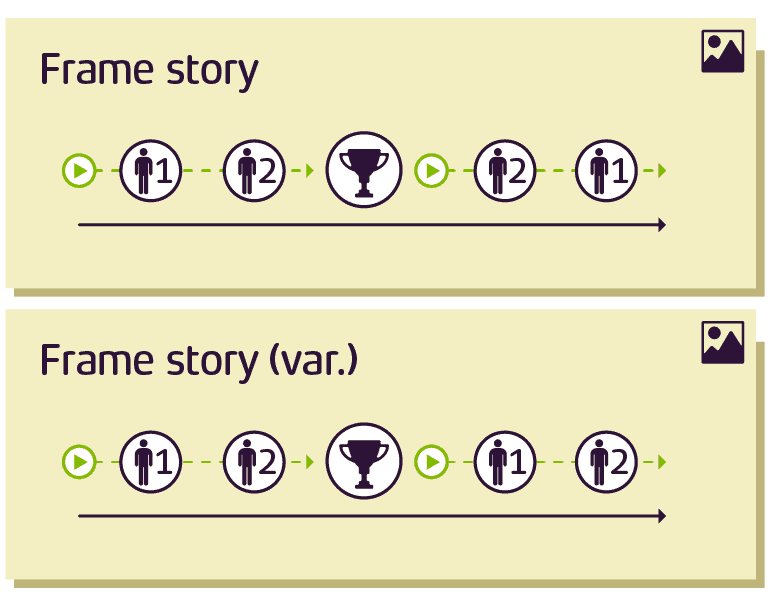 Simple branching: where the story divides into two or more nodes and each of them ends differently. Diamond Branching: when it divides but converges again for a common conclusion. Petal: when each story node returns to the initial premise before a new one starts. Consists on the diversion from the main subject by giving the audience a false start, that is then reversed showing the real conclusion. Normally applied by starting with a vulgar and predictable story, creating a sense of security that is unexpectedly disrupted by a game-changing event. Creates a good opportunity to restart both the story and tone of writing with an already captivated audience, allowing you to finish with reinforced attention. Can derive in Retroactive Continuity, where the story is retold after the restart, with convenient changes to deliver a determinate conclusion. The simple manipulation of narrative construction can be enough to dramatically change the way you lay the information and deliver it to your readers. Always start by identifying the plot key elements, proceed to assign their roles and animate them having in mind the kind of story you want to tell. For the final touch, the decision of which narrative style or theme you want to use to create the overall feeling of your original story will be decisive and depends solely on the kind of project you’re running and it’s entirely up to you. The provided tools are a really effective way to approach raw information and define a basic structure to communicate it in an effective and memorable way. Please join the fuzz and leave your comments below.